What’s coming next? The key government contracting leaders aren’t just asking the question, they’re shaping the conversation. In WashingtonExec’s inaugural list of Top 30 Executives to Watch, we turn the spotlight on industry leaders who are positioning their companies for greater growth and relevance ahead. Selected by industry colleagues, these leaders hail from a diverse range of companies, where they’re fueling new ways of thinking and responding to the many challenges faced by their government customers. From cybersecurity to national defense, healthcare IT to big data, the needs will only grow as we settle into this Presidential election year and beyond. Throughout this alphabetized list, we’re placing our bets that these industry leaders will continue to drive value and exceed expectations across all levels of government. 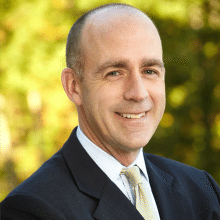 Andy Maner was appointed as Chief Financial Officer of the U.S. Department of Homeland Security under the George W. Bush Administration from 2004 to 2006, and most recently served as Managing Director of IBM GBS Federal. As CEO of the National Interest Security Company (NISC), Maner contributed its 2010 acquisition by IBM. Read the full top 30 list on WashingtonExec.com.